The Vero Beach Museum of Art is celebrated as one of the premier spots for arts and culture along the Treasure Coast. Whether you want to explore the sculpture garden or sign up for a ceramics class, this museum is packed with fascinating options to bring out the art lover in all of us. Plus, there are plenty of family-friendly options for the little ones – including an interactive Children’s Space and 25-foot Sketch Aquarium! Take a closer look inside the Vero Beach Museum of Art below, and plan your visit today! The Vero Beach Museum of Art has been a fixture of the Florida arts scene since the 1990s, gaining an outstanding reputation for its professionalism and quality. Not only was the museum a hit for its wonderful exhibits and classes, but also community outreach efforts to bring arts into the Vero Beach area. These efforts were quickly rewarded and the museum grew and grew. Additions like the Alice and Jim Beckwith Sculpture Park, and Art Zone for kids, created even more opportunity for visitors to gain an appreciation for art. The Vero Beach Museum of Art offers a wide range of attractions, so visitors can cultivate their artistic sides. Exhibitions and Collections: The museum offers permanent collections in media like glass, painting, photography, video, and more – as well as a variety of limited exhibitions in partnership with museums around the world. Programs and Events: From music to lectures to festivals, this bustling museum always has something on the schedule! If you’re visiting Vero Beach, be sure to see if you can catch a concert in the park or take the kids to the drop-in studio. Museum Art School: the Vero Beach Museum of Art also works to inspire a future generation of artists with art classes ranging from drawing to jewelry to watercolor, along with art therapy courses. Master Artist workshops and Summer Art Camp offer more intensive study as well. 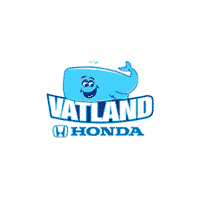 If you’re in the area, contact the staff at Vatland Honda to get some recommendations for our favorite Vero Beach restaurants before your trip to the museum!